When installing a natural gas grill please remember these three potential mistakes. Summertime is a special time to enjoy the great outdoors. One of our favorite events occurs in one’s own backyard where friends and family gather to enjoy food prepared on an outdoor grill. One of the best producers of the right heat for this occasion is natural gas. For 38 years The Gas Connection, has been connecting appliances to natural gas lines for homeowners and commercial customers. With safety and reliability our greatest concern, we have hooked up over 200,000 gas appliances. If local codes allow, we can also install a quick-connect hose with a shut-off valve. This makes it easy to re-position your natural gas grill to a more convenient location. 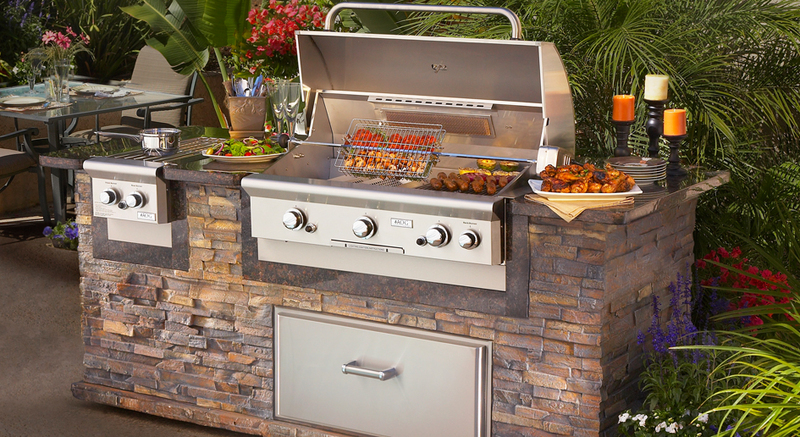 Natural gas is a winner by far when it comes installing a natural gas grill. This eliminates the need for replacing propane tanks, starting charcoal or an electric outlet that can be in short supply. Using your home’s gas line you will have an endless supply of clean burning natural gas and maintain a constant heat as you enjoy grilling in your own backyard. When you purchase your grill from your favorite retailer, rest assured we can professionally install any needed gas line and perform the final hookup. Do you love your current propane grill but don’t like having to keep switching out the propane bottles? The Gas Connection can convert it to natural gas and hook it up to the natural gas line in your home. Today’s grill grates are another thing to consider and are available in both metal and ceramic materials. If you want easy to clean grates, ceramic is the choice as they do not rust like metal ones do. Remember that ceramic grates can (and usually do) chip. Residential gas lines should be installed by a licensed professional who has the experience and reputation with your local building inspectors. The proper testing of any gas line is essential for safety and reliability. The Gas Connection is licensed and insured in every jurisdiction in the Denver Metro area and along the front range. We can obtain whatever permit is required to be sure your grill meets all requirements of the local building codes. In addition to the connections, the location of the grill is often regulated. Location is considered an important consideration in preventing unsafe conditions. If you live in a community that has an HOA (homeowner’s association) there may also be restrictions regarding the location of your gas grill. Not all contractors are equal when it comes to installing gas lines. Contractors specialize in many areas, but installing gas lines needs to be done by professionals. We specialize in the installation, repair or replacement of gas lines. Check their reviews, their website and local building departments to find out which contractor can meet the needs of your project. At The Gas Connections, we are licensed, bonded and insured. We offer our Colorado customers the best natural gas line installation possible. Since 1980, we are established as the company to contact when this type of installation is being considered. If you are thinking of installing a gas grill, contact us at 303-466-4206. 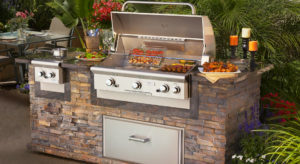 We will be happy to discuss your needs for getting a safe, economical, and reliable gas grill installation.